Please note that, with a couple of exceptions, the sheep were photographed with minimal cleanup and fitting, just enough to give viewers a fair look at the animal. 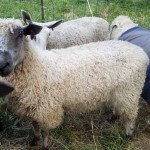 Our sheep are allowed to roam the pasture or shelter in a three-sided shed; they are not confined to a barn or drylot. They consume grain, grass and hay, although the hay is minimal while the pastures are green. Under most circumstances, our ram lambs have proven capable of breeding in their first season. 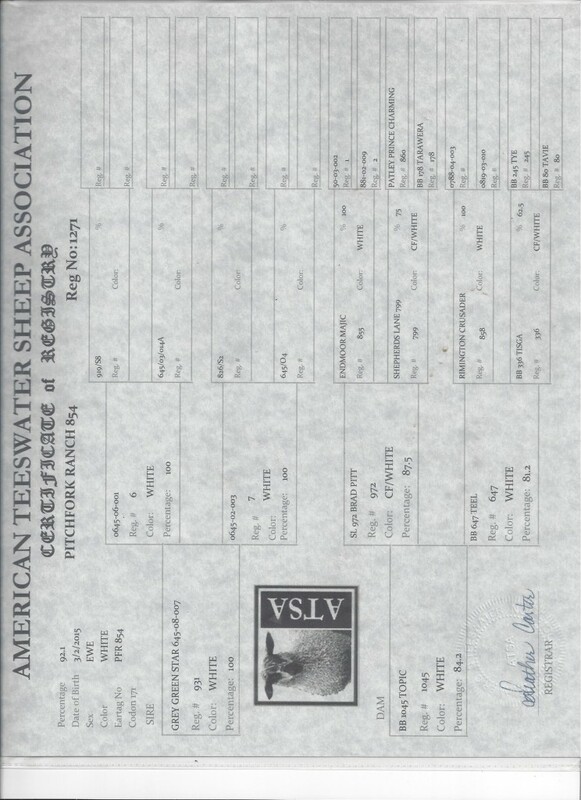 We may also have a limited number of “pet” or “fiber flock” quality lambs available, priced accordingly. Please contact us for more information. 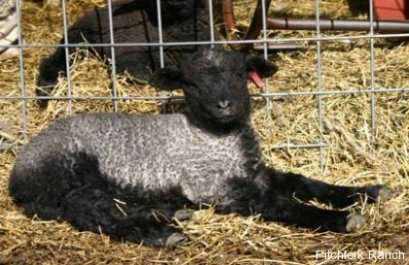 We deliver free to the Maryland Sheep and Wool Festival in May and Rhinebeck in October. We can usually arrange delivery to other events. 2019 lambs will begin arriving in January. Contact us if you are interested in reserving lambs. 92.1 % Teeswater on Wensleydale base. Great conformation and markings, easy keeper. Lambed three times, twinned twice and a set of quads!